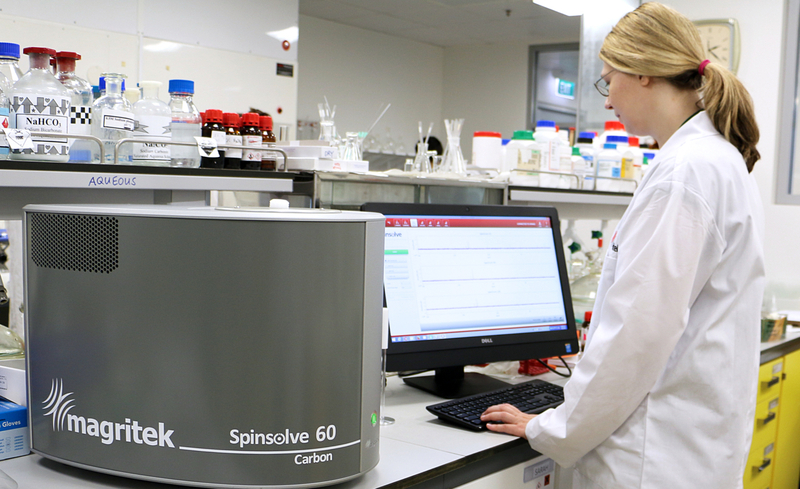 At today’s opening of the 2016 Spring ACS conference in San Diego California, Magritek are pleased to launch their newest series of benchtop NMR spectrometers, the Spinsolve 60. Operating at 62 MHz, the increased dispersion and sensitivity of the Spinsolve 60 spectrometer offers added measurement capability that is desired for many demanding applications. 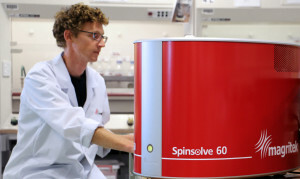 The Spinsolve 60 spectrometer has the identical compact form factor of Magritek’s already successful Spinsolve series spectrometers, enabling it to fit conveniently on the chemistry bench, or on a small trolley. The Spinsolve 60 spectrometer is initially available with proton/fluorine or proton/fluorine/carbon. Other nuclei will be added in the near future.